Building a house to the Passivhaus standard is an assurance of quality and performance so ideally a Passivhaus design profession should be involved from the start of the design stage. The first consultation is free. We offer fixed price quotes and charge an hourly rate for additional work. How much insulation do I need in the walls, roof, and floors? What window frames and glass do I need? How big can I make the windows? What kind of ventilation system should I use and how should it be distributed? What materials can I use and how to do they affect the performance of the house? How do I design the house to achieve high levels of airtightness? What construction details can I use to avoid thermal bridging? How much shading do I need and how do I achieve it? How big should my heating / cooling system be? How can I make the house cheaper to build yet maintain the comfort level? Where can I buy the fittings and components? We answer these questions in an unbiased and informed way using the latest tools and techniques. 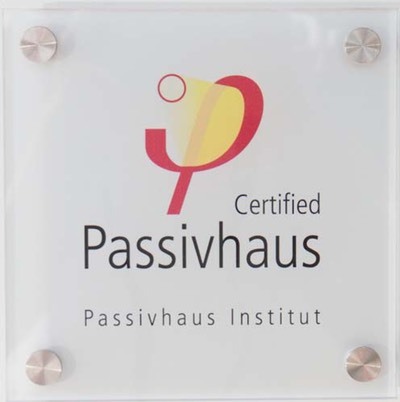 For those wanting to certify their project with the Passivhaus Institute, an additional step is taken after the detailed design stage. We work with a Passivhaus accredited certifier to independently review the design. The same certifier will then certify the project upon completion. Training the builder and others on site on how to achieve and maintain an airtight building envelope. Tours of a completed certified Passivhaus and a presentation to motivate and prepare the builder and other tradespeople for the task ahead. Blower door pressure testing to verify the airtightness of the envelope and to help find leaks. Ventilation system commissioning to balance and verify air flows to every room in accordance with the Passivhaus ventilation protocol. Once the project is handed over, there is a natural learning process for the owners on how to operate their new home. A Passivhaus is no more complicated than a conventional house but does require attention by the occupants to ensure high levels of comfort and health are maintained. H3Space can meet with owners in their new home to explain how to operate and maintain ventilation and heating systems, when to operate shading devices and suggestions for minor adjustments to improve comfort and efficiency, including supplementary heating devices, temperature monitoring devices, blinds and other shading devices. It takes time to fully understand how the new home performs so a follow up meetings after 12 months is recommended. Once successful, the client receives the Passivhaus plaque to proudly mount next to their front door, a certificate attesting to their achievement and an entry in the Passivhaus database website listing the performance details of their home.